We have been running the finance section for quite a while now and it seems that an editorial on blockchain technology is long overdue. 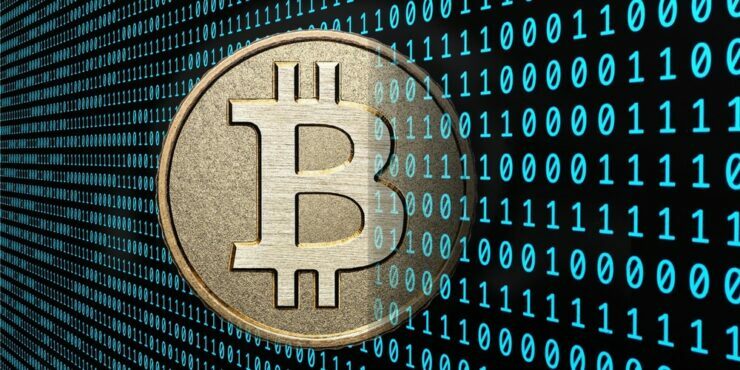 Bitcoin or BTC is something that has been in the public eye for quite some time now and while a completely decentralized cryptocurrency can potentially be paradigm changing, it is not the cryptocurrency implementation that is taking the financial world by storm right now, it is the potential applications of the technology behind BTC: the blockchain itself. The term disruptive technology has been overused to such an extent, that any rational individual would meet claims of a potentially disruptive technology with cynical skepticism. The fear of being left behind in another potential computer boom is ingrained into the minds of investors that were born before that time. No one wants to be the IBM guy that said there was a market for maybe 5 computers in the whole world. On the other hand, we have also seen massive over-compensation with investors jumping on board vaporware such as Theranos. So how do we make the distinction between what is really potentially disruptive and what isn’t? Well, as Warren Buffet says, you start with the fundamentals. Related Wccftech Finance is Hiring! Some typical characteristics of vaporware is that they are usually secretive and no one really knows how they work. They gain a lot of momentum way too fast and the herding effect takes care of the rest. As a casual observer, you might be tempted to say that the blockchain at least partially fits these descriptions, but that is where I would point out that the blockchain is a completely different entity than BTC. Since the technology is pretty much open source, we know exactly how it works. There is no organization that currently holds the recipe to it so it is not very secretive either. As for its implementation, and with the popular exception of Bitcoin, it hasn’t gained much momentum yet – but work on it is underway full tilt. The blockchain is a distributed ledger, which almost certainly cannot be tampered retroactively and creates a record that all observers can agree on. That last statement is very important because reconciliation of data is an industry on its own and so far it has been impossible to create a distributed data system that did not need to be reconciled. The problem was you could modify something retroactively and make it appear as though it happened in the past. If it had timecode to record changes, you could modify the timecode as well. It was only really a question of the skill level of the programmer versus the saboteur. The blockchain, on the other hand, is built on the simple concept where nothing, absolutely nothing, can be modified retroactively with currently known methods and less than 51% computational power control. Blocks or transactions are simply added to the blockchain and they should stay there for eternity. People have occasionally asked me why are you so sure the blockchain won’t have a flaw either, or why is it almost perfectly tamper proof when “almost anything can be hacked”. The answer to that question lies in the fact that most computer systems are not Byzantine Fault Tolerant. Leaving aside technical limitations of a “hacking” attempt such as the fact that it would be impossible without hijacking at least 51% of the blockchain’s computational power, and just sticking to the concept itself we can see why it just won’t be possible (without a critical failure of the chain). Byzantine Fault Tolerance is a big fancy phrase, so let me break it down a little bit. An oversimplification of this would be that the blockchain is a system where multiple observers can agree perfectly on the contents of a block and no one observer is able to modify or remove a block retroactively or be able to spoof a block (look up the Two Generals problem for a more conceptual idea). The problem with normal digital systems is that a malicious entity can send misleading signals that can spoof or contaminate records. Since every single transaction in the blockchain is authenticated and once incorporated may never be modified, these kinds of shenanigans are not possible. See, the amazing thing about BTC wasn’t just that it was a decentralized currency, but it was the fact that it managed to massively reduce the one problem the finance industry has had since day 1. It managed to nail down the pesky thing known as time and simultaneously significantly reduce the issue of counterparty risk to boot. Know the period when the cheque is being cleared? That is a period of pure risk for the bank. A risk it has to take because data reconciliation has yet to happen. With blockchains, that period of risk can be boiled down to less than a few minutes. Now let’s talk applications. Anyone who has dealt with the stock market knows that stocks are settled in T+3 or within three days of the point in time when the order is executed. 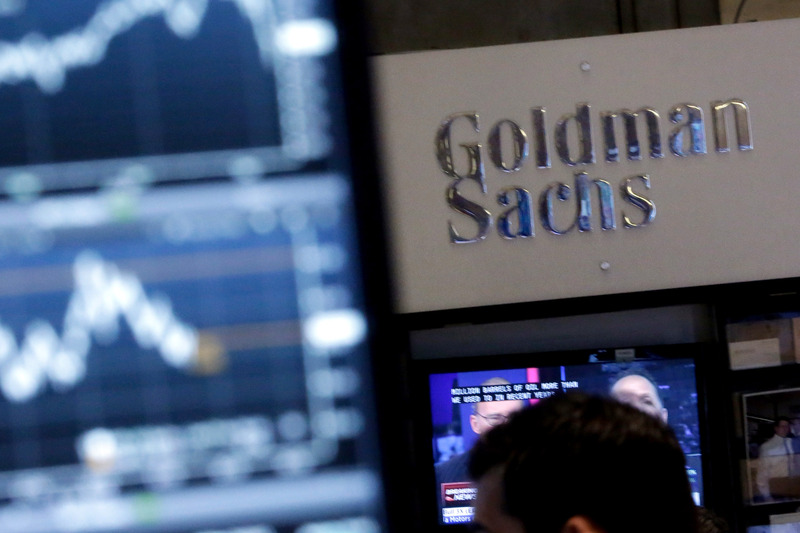 According to research by Goldman Sachs, this time would be mere minutes if the blockchain was used in the back end for settlement – the 3 days it takes for the settlement to happen using extensive reconciliation of orders and bids would simply vanish into thin air. The mere minutes that remain would simply be the time it takes for the blockchain to accept and integrate the request. This not only lowers the counterparty and other kinds of risk brokerage houses take, but it will also result in a more efficient market since information would be readily available. Unlike the traditional system, however, the blockchain does have a weakness in this regard. Where current credit card systems usually process hundreds of thousands of transactions per second, the blockchain manages less than a hundred in the span of a second. The primary limitation for this though is the time it takes for authorization to be received from at least 50% of the blockchain. It is much better than waiting 3 days, but it’s not ready for POS (Point of Sale) just yet. Another interesting application could be one in auditing. Auditing is an industry that is primarily about data reconciliation. You take the books provided by the company and the auditor reconciles his ledgers with the company’s. With the advent of the blockchain and a central public blockchain that ties in data streams from public companies would make accounting fraud virtually impossible under current knowledge of blockchain technology (accounting manipulation would still be possible, but it would be virtually impossible to hide retroactively) to the extent of changing/hiding/deleting records. According to expert estimates and applications that are market ready now, the financial services industry can cut costs by as much as $12 Billion if the blockchain was to be fully implemented. We can see now why the financial industry sector is in a frenzy about blockchain technology. In fact, there is a patent war starting on applications of the blockchain and the battle will heat up this year. The consortium of financial companies and institutions that are investing primarily in the blockchain is called the R3 consortium and consists of over 70 financial institutions and banks from all over the world. Goldman Sachs, was one of the original members of this consortium until just a month ago but refused to take part in the latest funding round and left. Allegedly, the reason for doing so was because it wanted more operational control over the technology and did not agree with the terms. Regardless of what the issue was, one thing is for sure: tensions are starting to rise and the race for who controls this technology is on. Anyone can see from the fundamentals that this technology will revolutionize just about any industry that requires data reconciliation or intensive record keeping. That said, no one can say for sure what time frame we are looking at, whether by this time next year the banks would have moved to blockchain or it would take another decade for the financial world to adopt the same. One thing which could be an impediment (but not a dead end) to blockchain adoption is the identity of Satoshi Nakamoto. Politics has long played a subtle part in the financial world, and the identity of this person(s) could have an impact on the reception of his invention. Also remember that all of what we have discussed in the blockchain assumes the current paradigm of linear computing and knowledge base holds constant. Paradigm shifts like quantum computers or even quantum annealers can quickly lower the barrier to break the blockchain below a critical threshold – at which point a qubit based chain would be required to be created from scratch. It goes without saying that some computer science leaps which have a somewhat mythical status, like the legendary P=NP problem would render the blockchain wide open to attack, but in case P=NP gets solved the blockchain would be the least of your problems since just about all encryption tech would be null and void. Finally, Its also worth adding that a blockchain is only as powerful as its computational power, so any blockchain applications that are in house will be vulnerable to over-power attempts where a saboteur could hook up the chain to external computational clusters in an attempt to overpower the chain. These are all just problems with the chain itself, the application of it could have additional issues.